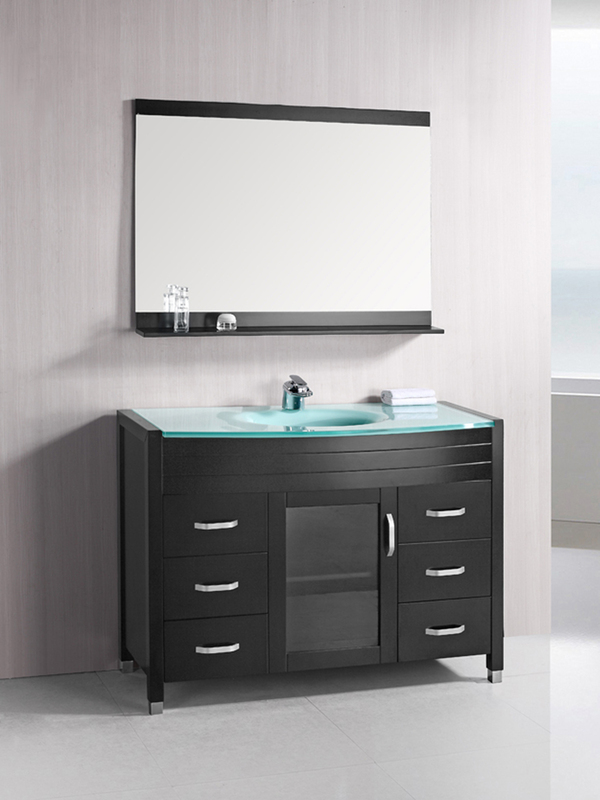 The 48" Waterfall Single Bath Vanity is hard to beat when it comes to looking sleek and stylish. 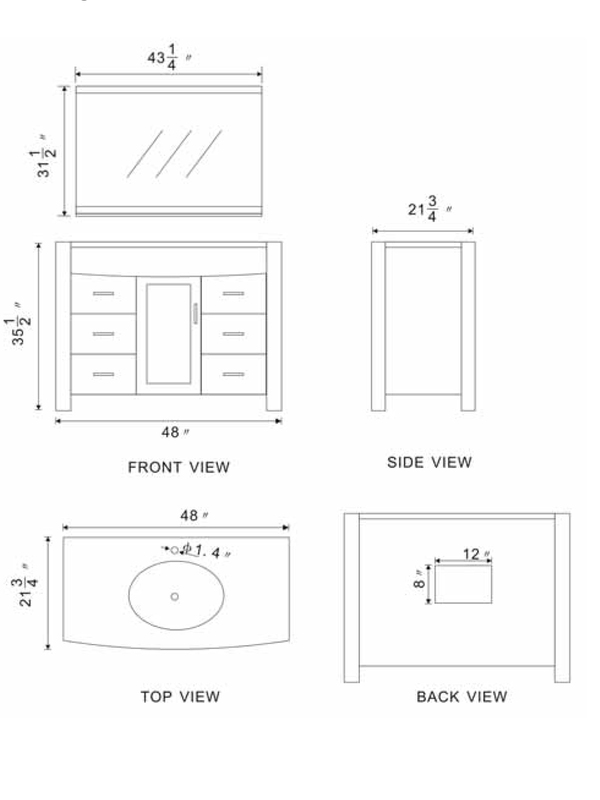 The clean lines of its hansom cabinet are juxtaposed with the seamlessly integrated glass sink and counter top, making this vanity and excellent addition to your modern bathroom. 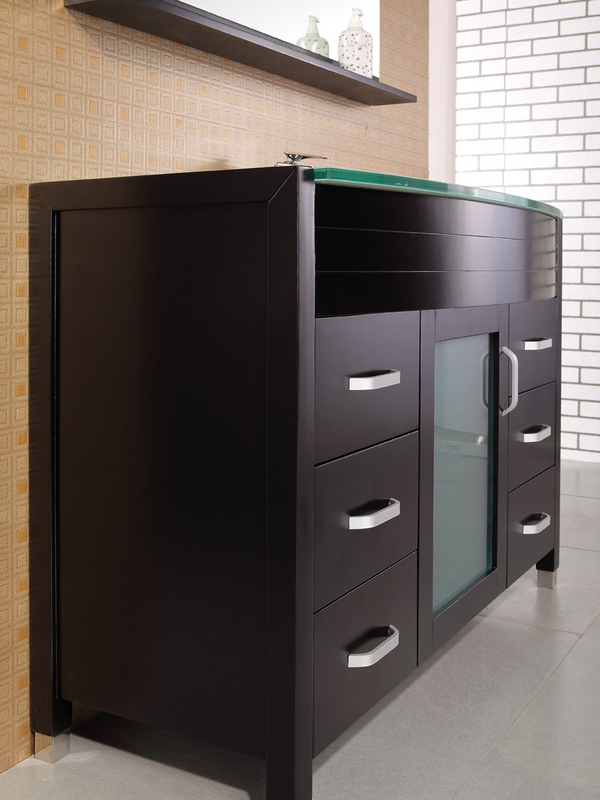 With six drawers and a single-door cabinet, this contemporary vanity sports plenty of storage space for your bathroom necessities. 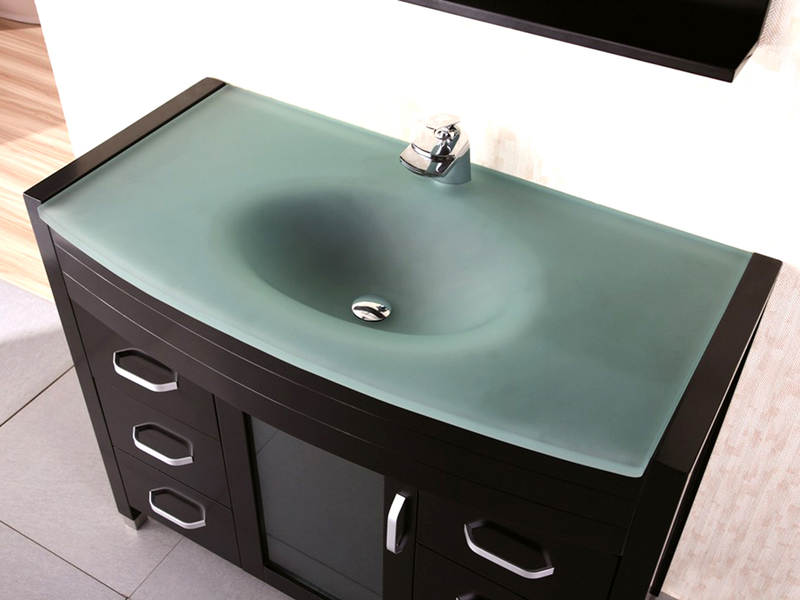 The vanity conveniently includes a matching mirror.